David Stanbra is our Recruitment Specialist & Team Leader in the UK and has worked at CSUSA since 2010. He works primarily with our British and Australian soccer players out of our Evesham-office. David Stanbra (England) played college soccer (NCAA D1 and D2) for four years between 2005 and 2008. He played at the University of South Carolina Upstate. Prior to going to university in the US, David played soccer for Aston Villa, Swindon Town and Cheltenham Town FC Academies. David obtained a Bachelor of Science in Interdisciplinary Studies from USC Upstate, and followed that by coaching at the college level for Pearl River Community College. 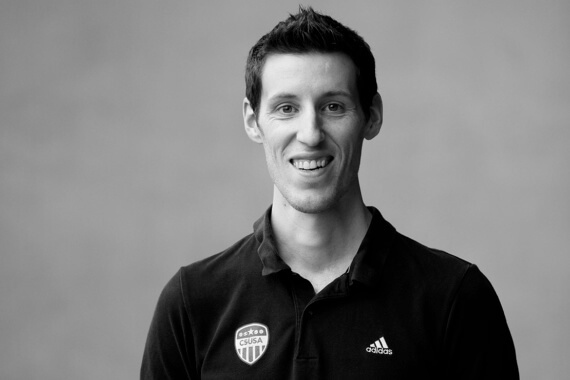 Over the years David has developed a huge network in college sports and has helped mostly British and Australian athletes to the college sports system. Winning 5-0 against local rivals on Alumni day and going #4 ranking in the country.